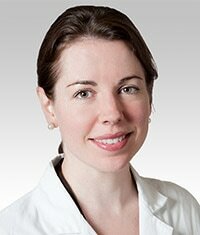 Dr. Christina Lewicky-Gaupp is board-certified in Obstetrics & Gynecology and Female Pelvic Medicine & Reconstructive Surgery. She completed her Female Pelvic Medicine & Reconstructive Surgery at University of Michigan after completing an Obstetrics & Gynecology Residency at University of Chicago. She is an Associate Professor of Obstetrics & Gynecology and Urology and the Director of Gynecologic Surgical Simulation. Dr. Lewicky-Gaupp is the Medical Director of the Peripartum Evaluation and Assessment of the Pelvic Floor around Delivery (PEAPOD) Clinic at Northwestern Medicine; this clinic is one of only a few in the country. Her research interests focus on maternal birth trauma, and she is currently leading a randomized controlled trial, studying the impact of education and fitness on birth outcomes. She is a passionate and gifted surgical educator, receiving the Resident Excellent Teaching Award for three consecutive years and awarded Most Outstanding Teacher in Obstetrics & Gynecology in 2011. She has consistently obtained funding for both resident and fellow simulation education and leads multiple simulations in the wet, dry and virtual reality labs of NCASE (Northwestern Center for Advanced Surgical Education) and is director of the Fundamentals of Laparoscopy Simulation (FLS) for Gynecology.